As the long-awaited trial of Pu Zhiqiang, a prominent Chinese human rights lawyer, commenced in a Beijing court on Monday, Dec. 14, Beijing police roughed up Pu’s supporters and journalists gathered outside the courthouse. Pu, 50, has been in custody since May 2014. Ostensibly, he is being charged with “inciting ethnic hatred” and “picking quarrels and provoking trouble” for seven posts on a Chinese microblogging site. But the real reason for the prosecution is political, says Teng Biao. 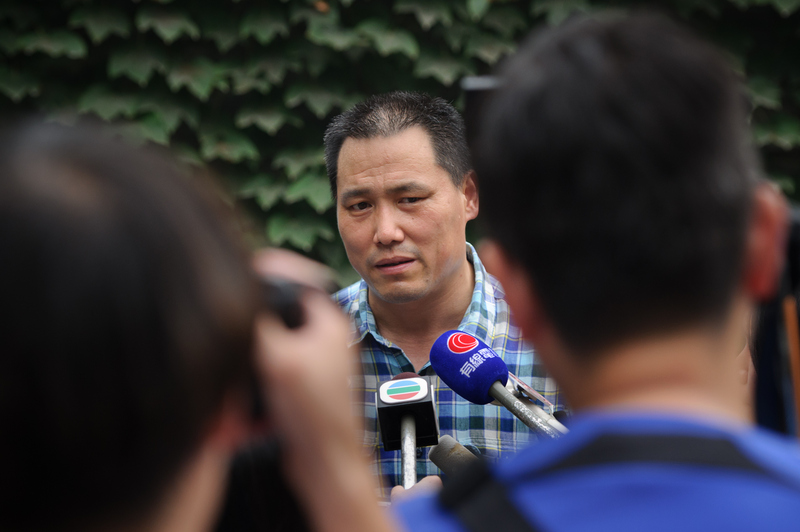 “Pu Zhiqiang has been at the forefront of the human rights movement in China,” he said. His specialities include agitating for the disclosure of the truth of the 1989 Tiananmen Square massacre, agitating for the closure of the labor camp system (which was effected), and criticizing former security czar Zhou Yongkang for running a highly repressive security apparatus. “The Chinese authorities are sending a message to the world that they won’t give in to pressure from international society in handling this human rights case,” Teng said. 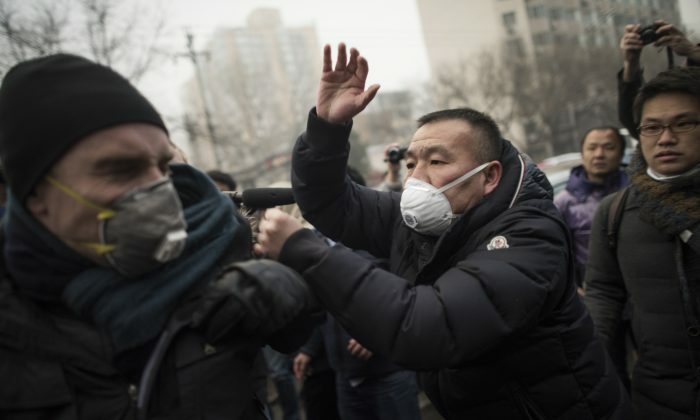 The trial of Pu and the brazen police action against protesters and journalists covering the event is the Chinese Communist Party’s latest move in an ongoing suppression of rights lawyers and activists in China. 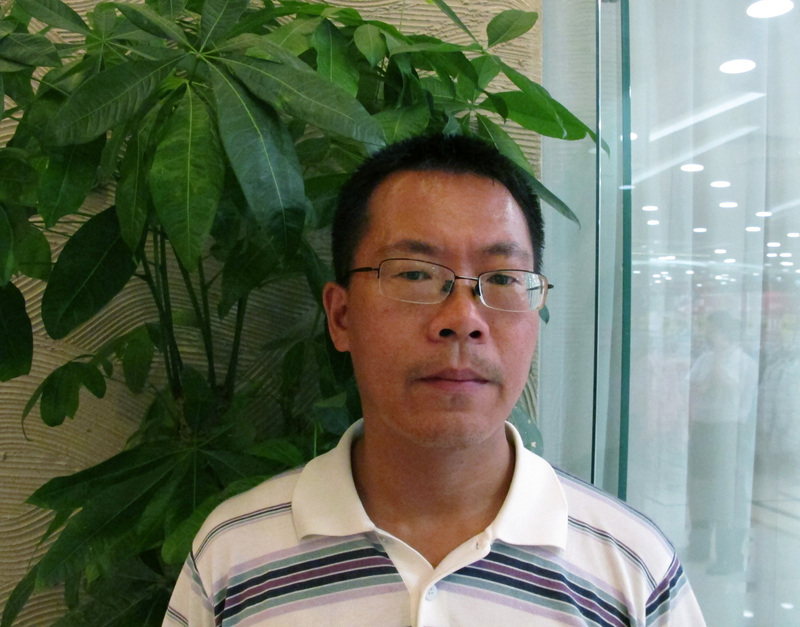 Pu’s supporters are linking the prosecution of Pu Zhiqiang more broadly to the Chinese regime’s inconsistent application of the rule of law, its human rights violations, and the lack of democracy in China. In the morning, Beijing police and plainclothes police had cordoned off the Beijing No. 2 Intermediate People’s Court, checked the identifications of passers-by, and drove the nearly 50 protesters, a dozen American, European, and Australian diplomats, and two dozen Chinese and foreign journalists some distance away from the courtroom, according to an eyewitness who spoke to Epoch Times on condition of anonymity. While police in uniform showed restraint, security officers in plainclothes, often wearing yellow smiley-face stickers, behaved particularly aggressively, the eyewitness added. In one scuffle, a plainclothes officer hit an expat, and the expat returned the blow. Instances of milder police action were caught on camera, including shoving a Chinese man to the ground as he called out for freedom of speech and democracy. That episode was circulated widely. Plainclothes and uniformed officers were also caught shoving Dan Biers, a diplomat with the U.S. Embassy in Beijing, as he read out a statement to reporters covering the Pu Zhiqiang trial. The first day of Pu’s trial was uneventful. It began at 9:00 a.m., lasted three hours, and only his wife was permitted to attend. He entered a plea for not guilty. “This is really a case of freedom of expression, in which no harm to anyone has been proven,” Mo told The Associated Press after the trial. In other posts, Pu denounced in sometimes colorful language the Chinese regime’s harsh policies against Tibetan and Uyghur ethnic minorities. “Have the Han Chinese gone crazy? Or have the leaders of the Han Chinese gone crazy?” Pu wrote in a post criticizing the policy of banning Uyghur Muslim women from wearing veils in the city of Ghulja in Xinjiang. Dilxat Raxit, a spokesman with the World Uyghur Congress in Germany, disagrees with the Chinese regime’s persecution of Pu Zhiqiang for his supposedly ethnically insensitive Weibo posts. Luo Ya and Juliet Song contributed to this article. A prominent Chinese rights lawyer taken into custody a year ago was formally indicted Friday on charges of fanning ethnic hatred and provoking troubles.